Pioneers in the industry, we offer ESR300 Wireless N300 Home Router, ESR350 Wireless N300 Gigabit Router, ESR600 Wireless N600 Dual Band Gigabit Router, ESR900 Wireless N900 Dual Band Gigabit Router, ESR1750 Dual Band Wireless AC1750 Gigabit Router and ES EAP 150 Mbps Long Range Ceiling Mount AP with POE from India. The EnGenius ESR300 Wireless N300 Remote Access Router is a 2.4GHz, 4-Port Wireless-N Router with wireless speeds up to 300Mbps. It offers robust wired and wireless connectivity and performance for computers, smartphones, tablet PCs and home entertainment devices in a home. Includes a media streaming USB port to attach storage so connected devices in your home can access and stream video, music, and other media. WPA/WPA2 wireless encryption to prevent unauthorized access to the network; a SPI (Stateful Packet Inspection) firewall to block malicious software from the Internet from accessing networked devices; MAC Address filtering to grant only known computers and devices network access; and URL filtering to block access to unwanted or offensive websites. Attach a storage device to the router’s USB port and with EnShare you can start sharing media content like photos, music, or videos throughout the home or even access and download that content when you’re away from home to your mobile devices like smartphones or tablet and files to your attached storage device anywhere you can get an Internet connection. The EnGenius ESR350 Wireless N300 Remote Access Router provides wireless speeds up to 300Mbps for fast file transfers and smooth online gaming. Equipped with four Gigabit LAN ports, it offers robust wired and wireless connectivity and performance for computers, smartphones, tablet PCs and home entertainment devices in a home. The ESR350 supports several security features and settings including industry-standard WPA/WPA2 wireless encryption to prevent unauthorized access to the network; a SPI (Stateful Packet Inspection) firewall to block malicious software from the Internet from accessing networked devices; MAC Address filtering to grant only known computers and devices network access; and URL filtering to block access to unwanted or offensive websites. Attach a storage device to the router’s USB port and with EnShare you can start sharing media content like photos, music, or videos throughout the home or even access and download that content when you’re away from home to your mobile devices like smartphones or tablet and laptop PCs. EnShare also enables you to upload files to your attached storage device anywhere you can get an Internet connection. Dual Band work-n-play Wireless N600 gigabit router for media active homes. The EnGenius ESR600 Wireless N600 Gigabit Remote Access Router is a Dual Band (2.4 GHz and 5 GHz), 4-Port Wireless-N Router with wireless speeds up to 300Mbps on both frequency bands. For media active households the ESR600 provides fast and stable wireless connectivity and is a great solution for streaming video or for gamers who compete with other online gamers. stream video, music, and other media. The ESR600 supports several security features and settings including industry-standard WPA/WPA2 wireless encryption to prevent unauthorized access to the network; a SPI (Stateful Packet Inspection) firewall to block malicious software from the Internet from accessing networked devices; MAC Address filtering to grant only known computers and devices network access; and URL filtering to block access to unwanted or offensive websites. Dual Band Wireless N900 router for HD video streaming and online gaming. 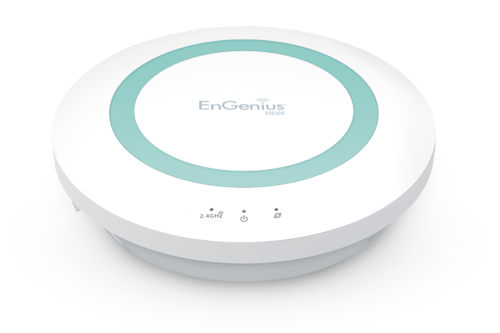 The EnGenius ESR900 Wireless N900 Remote Access Router is a Dual Band (2.4 GHz and 5 GHz), 4-Port Wireless-N Router with wireless speeds up to 450 Mbps on both frequency bands. The ESR900 is ideal for those who need to stream HD video to other devices in the home or for gamers who want optimal online gaming without lag. The ESR900 includes a built-in 4-Port Gigabit Switch and Gigabit WAN port for 10x faster throughput than Fast Ethernet making large file transfers, HD video and other media streaming incredibly fast. USB port to attach storage so connected devices in your home can access and stream video, music, and other media. The ESR900 supports several security features and settings including industry-standard WPA/WPA2 wireless encryption to prevent unauthorized access to the network; a SPI (Stateful Packet Inspection) firewall to block malicious software from the Internet from accessing networked devices; MAC Address filtering to grant only known computers and devices network access; and URL filtering to block access to unwanted or offensive websites. Attach a storage device to the router’s USB port and with EnShare you can start sharing media content like photos, music, or videos throughout the home or even access and download that content when you’re away from home to your mobile devices like smartphones or tablet and laptop PCs. EnShare also enables you to upload files to your attached storage device anywhere you can get an Internet. The EnGenius ESR1750 uses the latest Wireless AC technology, which can provide transfer rates of up to 1.75Gbps (1300AC + 450N). The router operates on both the 2.4 GHz and 5 GHz wireless bands at the same time using concurrent dual-band technology. This allows you to browse the web, chat and email using the 2.4 GHz band, while simultaneously streaming digital media, playing online games, or making Internet phone calls on the 5 GHz band. Now, all your family members can enjoy media streaming with no lagging and even while transferring large files wirelessly. The ESR1750 includes a built-in 4-Port Gigabit Switch and Gigabit WAN port for 10x faster throughput than Fast Ethernet making large file transfers, HD video and other media streaming incredibly fast. USB port to attach storage so connected devices in your home can access and stream video, music, and other media. The ESR1750 supports several security features and settings including industry-standard WPA/WPA2 wireless encryption to prevent unauthorized access to the network; a SPI (Stateful Packet Inspection) firewall to block malicious software from the Internet from accessing networked devices; MAC Address filtering to grant only known computers and devices network access; and URL filtering to block access to unwanted or offensive websites. EAP150 is a 150Mbps Wireless-N Ceiling Mount AP which offers users extended coverage, strong penetration, secure network management and simple connection. It provides extended coverage and at least 3 floors penetration in your environment. MSSID + VLAN make your data more secure and easy management. Standard PoE interoperable with 802.3af makes internet connection more flexible. EAP150 is designed as a Ceiling mount AP which will not violate your interior decoration. Only 3-step setup makes setting up simpler. EAP150 is the perfect choice for home and small business. EAP300 is a 300Mbps wireless-n ceiling mount AP which offers users extended coverage, strong penetration, secure network management and simple Router. It provides extended coverage and at least 3 floors penetration in your environment. MSSID + VLAN make your data more secure and easy management. Standard PoE interoperable with 802.3af makes internet connection. EAP300 designed as a Ceiling mount AP which will not violate your interior decoration. Only 3-step makes setting AP up simpler. EAP300 is the perfect choice for home and small business. EnGenius Smart PoE Switch family is special tailored for Access Points and IP surveillance applications. EGS2110P, one of the members from EnGenius Smart PoE Switch family offers 8-Gigabit ports with IEEE802.3af PoE Support on port 1-8. - See. Small desktop metal housing design can fulfill the most environment request of Small Business. - See. EGS2110P supports Power-over-Ethernet (PoE) on port 1- 8, which compliant with IEEE802.3af standards, delivering up to 15.4 watts along with the connected Ethernet cables to powered devices. - See. The EGS2110P supports VLAN, QoS and IGMP Snooping features for priority based application, such as IP surveillance or video/voice transitions. Moreover, it offers PoE Management on ports or even priority-base configuration. EAP350 is a 300Mbps wireless-n ceiling mount AP which offers users extended coverage, strong penetration, secure network management and simple connection. It provides extended coverage and at least 3 floors penetration in your environment. MSSID + VLAN make your data more secure and easy management. Standard PoE interoperable with 802.3af makes internet connection more flexible - EAP350 designed as a Ceiling mount AP which will not violate your interior decoration. Only 3-step makes setting AP up simpler. EAP350 is the perfect choice for home and small business. EAP600 is a wireless-11n 600Mbps (300Mbps + 300Mbps) High Power Dual Band concurrent ceiling mount AP. It allows simultaneous operation of 2.4GHz and 5GHz wireless network. With media-optimized performance, you can enjoy internet surfing more smoothly and with less lag. Maximum 29dBm high power transmission provides extended coverage in your environment. MSSID + VLAN make your data more secure and easy management. Standard PoE interoperable with 802.3af makes internet connection more flexible. EAP600 designed with slim and white color outlook which will not violate your interior decoration. Multiple mounting types provide user friendly installation. EAP600 is the perfect choice in home and small business. ENS202EXT Wireless Outdoor unit provides not only external antenna connectors for antenna upgrade, but also high output power and high sensitivity can extend the transmission range to deliver a stable wireless connection. ENS202EXT integrates 4 operation modes: Access Point, Client Bridge, Client Router and WDS. Advanced multi-function operation modes offer flexibility in constructing scalable wireless networks for all possible applications. ENS202EXT is designed to deliver reliable service under harsh outdoor environment with certified IP65 protection and tailored to accommodate multimedia streaming services with data-rate up to 300Mbps. Most importantly, it is built-in encryption standards (WEP, WPA, WPA2, TKIP/AES and IEEE802.1x) ensure maximum security and compatibility. ENS202, the high-efficient 8dBi directional antenna provides an optimum, extended real outdoor throughput performance via point to point transmission in long range distances. The good waterproof ability with compact, robust design can be diversely configured and operated in the extremely harsh outdoor environment. Its advanced multi-operation modes (CB, AP, CR, WDS AP, WDS Bridge and WDS Station) integrated with Network Management Software “EZ Controller” can offer variety uses in constructing scalable wireless network of all possible applications also allow centralized management via user interface. ENH210EXT Wireless Outdoor Enterprise Access Point features 2 x N-type external connectors with high output power and high sensitivity can extend the transmission range to deliver a stable wireless connection. ENH210EXT integrates 4 operation modes: Access Point, Client Bridge, Client Router and WDS. Use external connectors with high output power to combine flexible antenna, it’s convenient to build long range wireless link while reducing dead spots. Advanced multi-function operation modes offer flexibility in constructing scalable wireless networks for all possible applications. ENH210EXT is designed to deliver reliable service under harsh outdoor environment with certified IP67 protection and tailored to accommodate multimedia streaming services with data-rate up to 300Mbps. Most importantly, it is built-in encryption standards (WEP, WPA, WPA2, TKIP/AES and IEEE802.1x) ensure maximum security and compatibility.